If you want to feel the spirit of real Germany, welcome to Hahndorf! This is the oldest surviving German town in Australia, in which has been preserved the old architecture in the German fachwerk style, and live descendants of the first German settlers. Do not forget to visit the German Village Shop, operated by Justin Lang and his family. You hear sounds of cheerful German music, and ticking of a few dozen of German clocks in the shop. This creates an absolutely amazing and unique atmosphere. 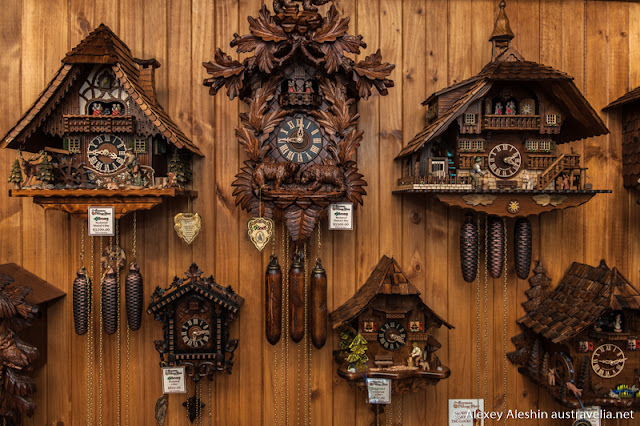 Hand carved Cuckoo Clocks are produced and are imported to Australia from their homeland - the Black Forest in Germany. 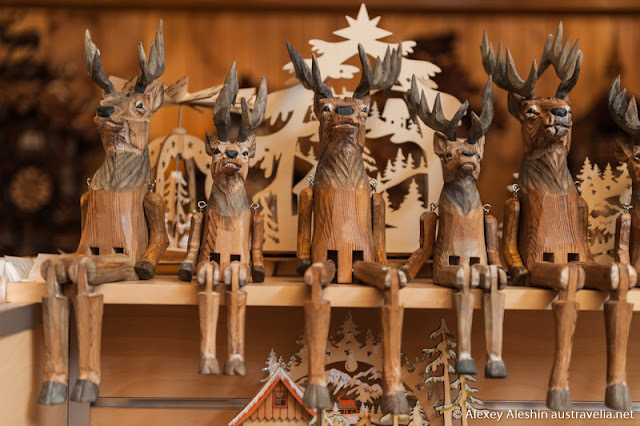 In addition to the clocks, you can buy other authentic German souvenirs, such as Music Boxes, Wooden Nutcrackers, Cow Bells, Beer Steins, Wooden old style toys, Hohner Harmonicas and many more. 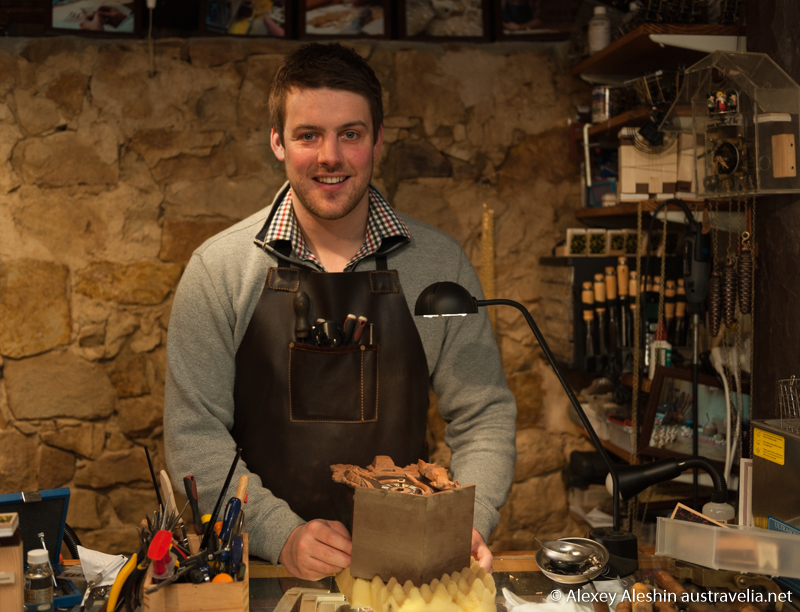 Justin Lang is one of the few Australian specialists repairing and servicing the Cuckoo Clocks. 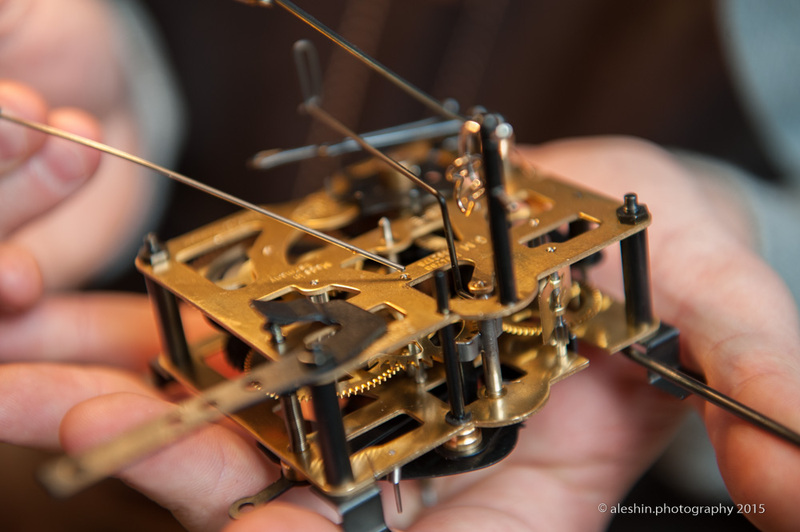 He receives parcels with clocks from all over Australia and even overseas. He repairs them with great professionalism and love, and the tiny wooden birds come to life in his hands.